50 – Is it All Over? Whilst I am not quite 50 years of age, the clock is certiainly ticking and has made me sit back and think about what it means heading to this milestone. It was no doubt one of those adverts – the one’s that make you feel extrememly old “over 50’s”. To mant it’s just the start, having brought up the familly, hopefully enjoying greater financial security, less expenditure with little or no mortgage and the dreaded costs that come with raising children may well have gone (well significantly reduced anyway). My retired clients continue to laugh when they advise me their 30 something is still not 100% financially independent and probably never will be!! The financial liberation brings more confidence, wealth of experience, more free time and for doing things for yourself!! – What will your 50’s look like? Have you reviewed your Will? – is it still appropriate? Have you looking over your Protection arrangements – do they represent good value? Are your investments and retirement arrangements well managed and appropraite as you head closer to taking benefits – how much would they suffer if there was a market downturn and would this push your planned retirement further down the line – is this acceptable? A free financial health check will assist you to understand your financial position and formulate a plan of action with any shortcomings. This article does not provide individual financial advice and are the views of the columnist only. Vision Independent Financial Planning Ltd is authorised and regulated by the Financial Conduct Authority. 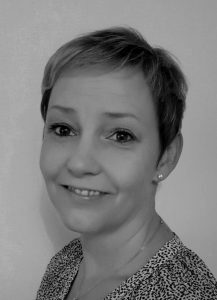 Sarah Williams of W.T Independent Financial Planning is an Appointed Representative of Vision Independent Financial Planning Ltd.
Is this One Step too Far for Buy to Let Investors? A new government is looking to extend tenancy agreements providing them with greater security. The government’s proposals are that tenants will be able to vacate early whilst landlords will have greater financial security. Greater regulation and tax changes for the investor have resulted in property investors making losses on property investment. These changes include a 3% stamp duty surcharge for second properties, the removal of offsetting lending costs and a withdrawal of 10% wear and tear depreciation. Many investors view bricks and mortar as a low risk tangible asset. However, there are many risks by investing in property including rental voids, liquidity and price volatility. There is also the risk of a future interest rate increase. An alternative, more flexible investment offering greater tax concessions is to consider a well managed diverse investment portfolio, with the ability to use valuable annual allowances including ISA, Capital gains, Dividend and Savings allowances. Capital Gain tax rates are far more beneficial on direct investments with 8% lower rates than investing in property. Consequently, for a rental property property to match the capital return on a diversified portfolio of stocks and bonds, the housing market will need to outperform other asset classes. The Labour party believe proposals do not go far enough so there could be even more changes in the years ahead. What is the Future of the State Pension? The state pension will be 109 years old this year – so what will the next 109 years look like for you, me, our children and grandchildren – whilst I do not have a crystal ball the figures simply don’t add up. Even though the state pension offers the lowest replacement income relative to average earnings of any organisation for economic co-operation and development it does not bode well for the future. The state pension is funded by National Insurance contributions which pay straight from workers to the retired, there are no savings and is run like a current account with periods where an overdraft is required. Indications are that the projected number of people of state pension age compared to the working population is anticipated to increase, placing a larger strain on public finances. The position is heightened as money coming in is in line with earnings, whilst pension increases with inflation and the triple lock; placing a greater strain on the system. The introduction of auto-enrolment was brought about to ensure that individuals provide for their future and reduce reliance and burden upon the state. We are likely to see further changes including the triple lock and further extension to state pension age, whether this is sustainable over the longer term is doubtful. Regardless of any future changes relying upon the state pension to provide financial support is not a sensible strategy and a case of taking matters into your own hands and making your own arrangements. In an ever-changing working environment with the average person expected to have 11 different jobs during their working life and as many pension schemes, it is no wonder that this number is so high. When joining a pension scheme, members are asked to fill out an “expression of wishes” form that outlines to the pension trustees who should receive any death benefits. The trustees and pension providers often consult these forms when deciding on how to distribute the pension death benefits, alongside any will that is in place. According to research by Royal London, nearly three quarters of a million-people coming to retirement are at risk of passing their pension to the wrong person. The analysis of 733,000 people aged between 55 and 64 who are in at least their second relationship may be affected by this issue. The problem stems from individuals informing the pension trustees that they wish to pass on their pension benefits to a first spouse but after a divorce they form a new relationship. Unless the records are amended there is a risk any benefits after death may go to an ex-partner. How Much are your Death Benefits? A further consideration should be the value of your death benefits. Some older schemes for instance may provide return of premiums only; whilst this is unusual, it does exist. When recently reviewing a new client’s pension arrangements, we established his scheme valued at £87,300 but only provided death benefits of £19,001 which was a mere 21% of the true value. There are many reasons to review your pension, not simply the performance, risk, charges but also death benefits. Under pension freedoms the options to pass on your pension wealth to the next generation is very powerful. Maybe it’s time to look at your own arrangements? Individuals now have greater control over their financial affairs, especially with changes such as pensions freedom. Whether you choose to seek financial advice is likely to depend upon the complexities of your financial affairs and whether you feel capable to deal with your own finances. The first step is to think about the assistance you will need, can afford and would value. General guidance on debt management and budgeting could be provided from free sources such as Money Advice service or Citizen Advice and for over 50’s the Governments Pension Wise service. Financial advice is offered either on an independent or restricted basis. As the name suggests, restricted usually involves recommending types of products or through limited providers, whilst independent will consider arrangements across the market. Advice is generally offered on varying levels from one off events, such as arranging a mortgage, to a more holistic approach, managing a client’s complete wealth including investment management, estate and tax planning. Your choice of adviser will no doubt come down to their expertise, confidence, cost and ability to build a long term relationship offering quality of advice and service. Most advisers offer a free introductory meeting with details of fees provided at the end of the meeting. Be wary of exit fees, some advisory companies charge up to 6% exit charge should an investor exit the arrangement within 5 years. Personal recommendations carry a good deal of weight, so often a good place to start. Don’t be afraid to ask questions – Do you offer face to face advice, how often are arrangements reviewed, how long have you been an Adviser, do you specialise in any particular area, will I always see you as my Adviser? Of course these are just a few questions. Ultimately, you need to feel comfortable and trust your adviser. So what is a financial review? Quite simply the opportunity to review your financial needs and arrangements and consider how well placed these are to meet your objectives – these vary considerably and often this is very personal. These may include the ability to protect your family in the event of a premature death, your ability to retire at 55, ensuring that your investments are tax efficient and performing well or reducing the impact of inheritance taxation. Questions may well be asked that you may never have thought about and you may well not have the answers. Why would we ask ourselves “what would happen if our loved one died tomorrow – they are fit and healthy and in their 30’s”. Maybe we should consider such questions, but with hectic and busy lives and with retirement maybe decades away our natural though is that it can wait – can’t it? And do you want or need to really consider such morbid thoughts? Or you nay simply feel you can arrange this yourself. The answers to questions posed will determine the types of insurances you need and can afford, the types of investment and pensions you arrange and the level of risk that you take. Answers often give rise to more questions but hopefully provide a better understanding of the financial world, which is surely not a bad thing. So why do we not take financial advice? Many believe it’s expensive, it won’t benefit them, it’s not a priority it can wait, the list continues. Maybe it’s time to review that to do list; considering moving the “seek financial advice” from the bottom to the top. Most Independent Financial Advisers offer a free no obligation consultation. So why not see for yourself? 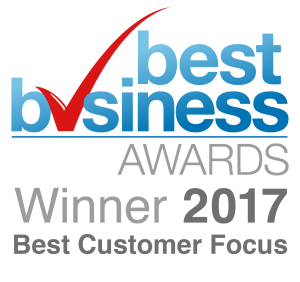 We are thrilled to announ ce that Vision have been awarded ‘Best Customer Focus’ at one of the UK’s highest profile awards, the Best Business Awards. The Best Business Awards highlight and reward excellence in business. All entries were judged by a large, independent panel of past winners and other business experts, who selected the winners according to strict criteria.